The leader of Shehbaz-lead Pakistan Muslim League-Nawaz (PML-N) Rana Sanaullah said on Tuesday that the speaker of the Punjab Assembly Pervez Elahi is the biggest dacoit of the country. While talking to the media outside the Supreme Court of Pakistan, former Law Minister Punjab said that the speed of the case registration against the government officials is slow. But on the other hand, thousands of cases against the opposition are being filed within no time. 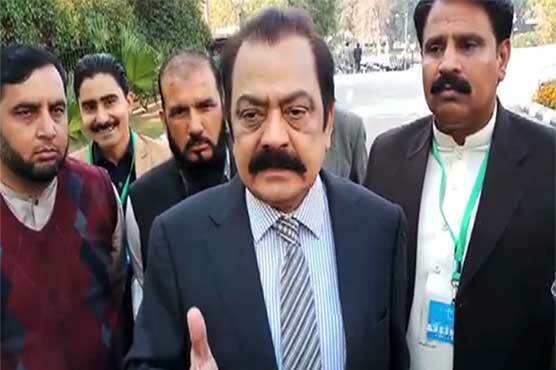 While criticizing the government of Pakistan Tehreek-e-Insaf, former Law Minister Punjab, Rana Sanaullah further said that it doesn’t have the ability to understand the government level matters.